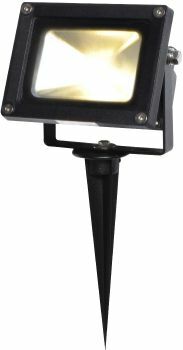 The outdoor LED floodlight is a robust, weatherproof, black aluminium 12 volt floodlight with a large rectangular light face. 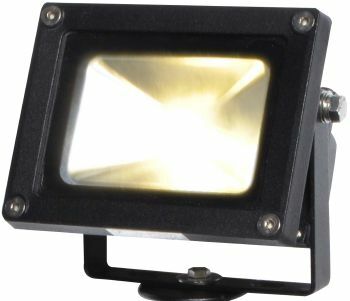 The in-built 12 volt, 15 watt LED lamp and reflective surround will produce a wide spread of warm white light over a considerable area with a significant light output of 786 lumens. This floodlight is mounted on a black aluminium bracket which allows the directional aim of the floodlight to be adjusted. Fixings are supplied to allow the bracket to be secured to a wall for effective down lighting. 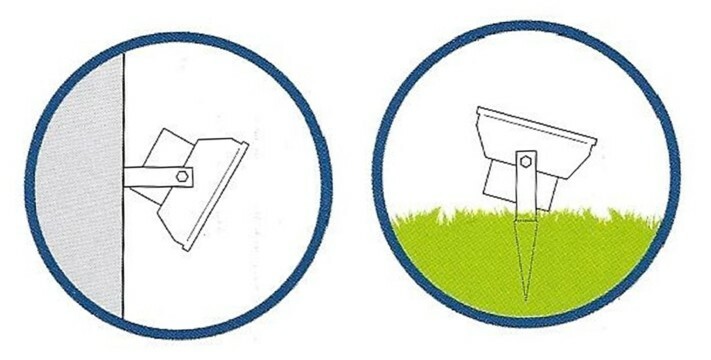 There is also a ground spike supplied which allows the floodlight to be staked into soft ground ideal for up lighting of trees, shrubbery and garden features. 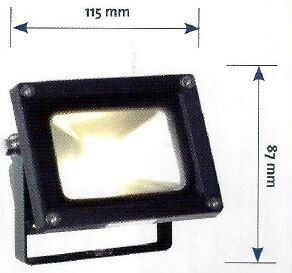 The floodlight features 2 metres of low voltage cable and requires a transformer to supply power. This product is compatible with the entire range of 12 volt plug & play components including transformers, connecting cables and control options. This floodlight will also function as an effective outdoor LED motion detecting security light when combined with the plug & play Motion Sensor.